Kaspersky® Anti-Virus for File Server reliably protects servers running under Microsoft® Windows®, Novell NetWare, Linux and Samba from all types of malicious programs. 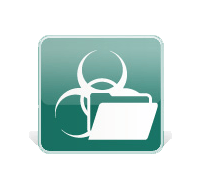 Antivirus protection for shared file storage areas is essential, since a single infected file on the server may infect the workstations of all users of the resource. Proper protection of the file server not only ensures that users and their important information are protected, but also eliminates the danger of malicious programs making their way into backup copies of files, which may cause repeated malware outbreaks and other incidents.